If you have poor credit history or are self-employment, getting a home mortgage may prove difficult, but you can still own a home by finding an owner-financed property. When the owner finances a property, he holds the title to the property and sets up a payment schedule showing the total amount due and the monthly payments on the property. You make payments to the owner exactly like you would to a mortgage company and receive the title after the home is paid off. Finding owner or seller financed homes requires research and leg work. Call or visit local real estate offices and speak with an agent in each office. Request a list of the homes with the owner financing option that are currently available. View your local newspaper advertisements that list the homes for sale. 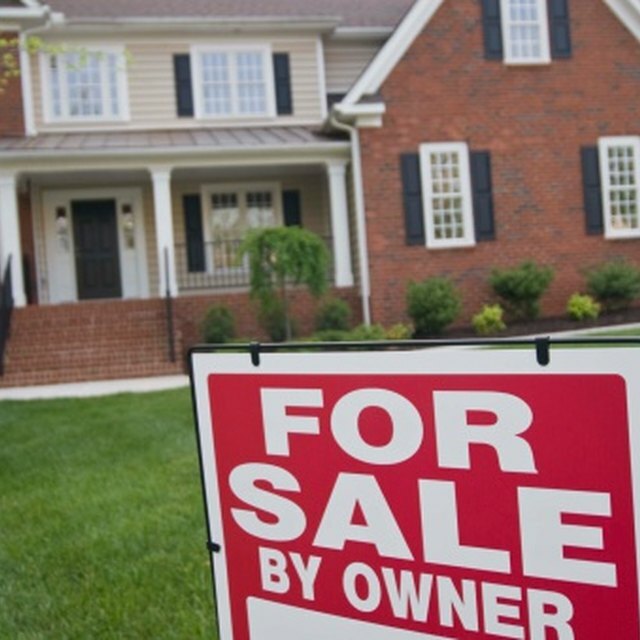 Read each ad to determine if it states that the property is offered with owner financing. Also, call about the homes listed under the “for rent” section and ask the owner if he is willing to finance the home as a rent-to-own property. Seek homes that have "for sale by owner signs" in the yard. Call the number listed and talk to the owner of the home and ask if he is willing to provide owner financing for the home. Visit an online website, such as sellfinanced.com, to view local listings of property that is offered for sale with owner financing available. Choose your location, search for a property that interests you and contact the owner by calling or emailing him.